This page will be updated periodically as more information becomes available. Please check back regularly for updates. world-class scientists, civil society and the media to accelerate action towards the creation of more resilient, equitable, profitable, productive and healthy landscapes. countries have engaged with the GLF. Over the next five years, with major support from the German government and with the support of strategic partners, the GLF will grow, enrich the discussion, starting with the annual forum, Dec 19-20, 2017, in Bonn, Germany. Collective action happens when people connect, share, learn, and act. The GLF connects voices from all over the world to share ideas to accelerate positive action. The GLF scales local solutions for global action and tailors global experience to local action. We want you to share how your organization is driving the key messages at GLF Bonn 2017, whether it is scaling up landscape restoration or instigating collective action. You can use our sample tweets and posts below but it’s always going to be more effective to craft your own messages and add a personal twist. Whatever you decide, we have provided everything you need to get going on this page. Collective action happens when people connect, share, learn and act. The GLF scales local solutions for global action & tailors global lessons to local action. The GLF connects voices from all over the world to share ideas for positive action. Do you care about your environment, your community, and it’s wellbeing? Join us in Bonn as we scale up sustainable solutions and drive positive change around the world. You’ll tune into thought-provoking speakers like President of Mauritius, her Excellency Ameenah Gurib, Erik Solheim, Executive Director of UN Environment and more to help us put communities and local realities at the center of the conversation. Sign up to attend online. Connect with the GLF Community in Bonn to share, learn and act for positive action on the ground. The Global Landscapes Forum is your opportunity to meet us, discuss and share ideas. 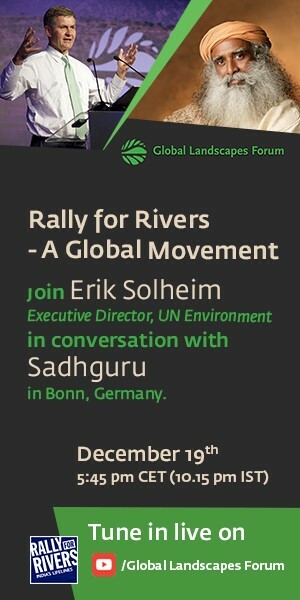 So spread the word, and on to #GLFBonn2017! [Insert name of your organization] will be part of a global conversation to accelerate positive change. We will connect, share, learn and act with 45+ organizations and world-wide famous speakers. Exciting, right? See the agenda below and, most importantly, register to participate. We are looking forward to partnering with you and amplifying your key messages, jobs, news and associated events on our site and channels.